Meet America's leading aerospace and defense suppliers at the most influential industry event in Australia! In a comprehensive White Paper issued in February 2016, Australia’s Department of Defence outlined $195 billion in defense modernization spending between now and 2025-26. The plan calls for annual budget increases rising to 2% of GDP by 2020-21 and total annual budget growing from $32.4 billion next year to $58.7 billion by 2026. 25% will go to Maritime Operations and anti-submarine warfare, including P-8A Poseidons and new tactical unmanned aircraft. The scope of the event aligns with the government's spending priorities, virtually guaranteeing that any stakeholder who’s planning to buy anything over the next ten years will be walking floor and looking for you. "The United States is by far the largest foreign investor in Australia, accounting for over a quarter of its foreign investment," according to the U.S. State Department. "The 2005 Australia-U.S. Free Trade Agreement has nearly doubled our goods trade and increased our services trade by more than 122 percent." The alliance between the United States and Australia is a true bilateral partnership that gives American exhibitors a secure advantage in the USA Partnership Pavilion at Avalon and all of our other events in this region. For more than 75 years our two countries have worked and fought together, notably cooperating on defense, security, global trade, health and environmental issues, and producing results that have contributed measurably to each nation's stability and growth. The USA Partnership Pavilion at Avalon builds on America's equity in Australia and Kallman Worldwide's history with the show to help you meet more buyers, decision-makers and influencers. We've been the official representative of the show in the U.S. and organizer of America's presence here for more than 10 years, and that experience translates into more value for you in Geelong. In addition to our suite of end-to-end exhibitor services, the upcoming edition of the Pavilion will feature a new turnkey stand design and materials, a robust delegation program, close collaboration with in-country and regional U.S. Commercial Service representatives to facilitate business introductions and meetings, and marquee VIP reception to celebrate the American presence with attending civilian and military leaders. We look forward helping you take-off down under at Avalon!! Soar to new heights down under. Australia is buying! The country’s ever changing fleet — from military aircraft and light attack helicopters to business and commercial jets — means more opportunities for U.S. OEMs and SMEs at Avalon. Avalon is organized around three core market sectors. Most of the world’s long-haul carriers serve destinations throughout Asia and the Indo-Pacific from Australian airports. 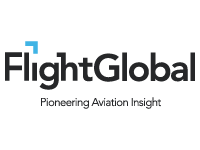 Operations and MRO services are top-of-mind in this market. The modernization of Australia’s defense forces is taking off. According to the Australian Defence White Paper these are the early days of a massive investment in new programs, upgrades and overhauling of aircraft and defense systems for the Royal Air Force and other branches of the Australian military. 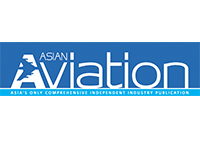 Many countries in the Indo-Asia-Pacific region are taking advantage of what will be on display at Avalon and are sending their representatives to the show to make contact with suppliers to do business with their respective militaries. The Pavilion has been located in the same hall as the Australian Defense Industry for the past 12 years. All of the key decision makers and influencers know exactly where to find U.S. industry! The USA Partnership Pavilion provides the essential business connections and unique opportunities for American exhibitors to meet with peers, potential suppliers and customers. The RAAF will invite Air Chiefs and Air Force leaders from throughout the Indo-Asia-Pacific region and around the world to participate in Avalon. 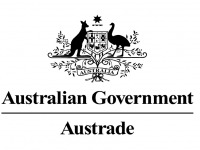 The ODC is the single point of contact for all Foreign Military Sales programs between the U.S. Government and the Government of Australia. The U.S. Commercial Service in Australia will help you locate U.S. products, services, and business partners; meet suppliers and partners face-to-face; and participate in trade shows that feature thousands of U.S. companies. Lead the security cooperation community (SCC) in developing and executing innovative security cooperation solutions that support mutual U.S. and partner interests. The purpose of this program is to improve the quality and professionalism of the International Affairs Workforce, grow the leadership of tomorrow, and build personal relationships among mid-level management throughout DSCA, the Military Departments (MILDEPS), other federal agencies, international FMS customers, and defense industry organizations. 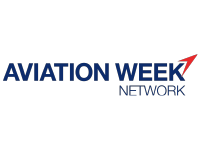 We help you and all levels of your organization get closer to your customers and competitors by providing numerous networking opportunities through meetings, international air shows, and an extensive network of councils, committees, and working groups. Our long-standing editorial and marketing relationships with leading aerospace and defense industry media companies bring extra attention and insight to the USA Partnership Pavilion at Avalon. Look for real-time Headline News from our industry media partners on our website and at our on-site Newsstand during the event, where you can also pick up copies of their latest publications. 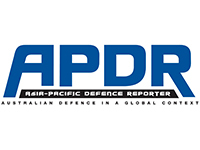 Australian Defence Magazine (ADM) is dedicated to reporting the business of defence capability planning and procurement as well as reporting the development of infrastructure to support the ADF. 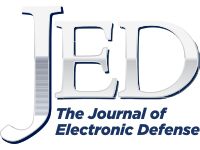 ADM's main objective is to provide an essential communications bridge between defence industry and its single source customer, the Department of Defence. ADM also reports on the budgetary process, the policy development, the capability planning process and the procurement decisions which together provide the equipment and resources for Australia’s defence force. Aerospace Australia Limited is a part of the not-for-profit group headed by Aerospace Maritime and Defence Foundation of Australia Limited. This group organizes Avalon - The Australian Airshow, Pacific International Maritime Exposition, Land Forces Exposition, and CivSec Congress and Exposition. Kallman Worldwide is proud to partner with AMDA as the U.S. agent on all of these events. As an exhibitor in the USA Partnership Pavilion at Avalon, you start the show with an advantage that you can build on. From the design of your stand to the presentation of your brand, Kallman Worldwide’s portfolio of Avalon options will generate more buzz for your business. The USA Partnership Pavilion is a prime location for promoting our nation’s aerospace, defense, and security leadership at Avalon. Tell us what you need to succeed, and we’ll take care of the details — every step of the way. From building your stand and managing your exhibitor registrations to driving qualified traffic into the aisles so you can meet more buyers, Kallman’s got you covered. The centerpiece of our program is the USA Partnership Pavilion Visitors Guide. It's essential reading for international buyers looking for U.S. suppliers, and Kallman distributes hundreds-to-thousands of copies on site at the show. For Avalon, we'll also post an interactive online directory at kallman.com for worldwide reference. Every exhibitor in the USA Partnership Pavilion receives a free listing in the Guide and a cross-reference in their product or service categories. Kallman Worldwide is committed to your success online, as well as on site, with social media support that extends your Avalon 2021 outreach and impact. Social media can help you generate buzz, increase brand exposure, and strengthen relationships with buyers, opinion-leaders and influencers.! Whether you’re active on social media or just looking to dip your toe in the water, we offer simple, low-risk support to USA Partnership Pavilion exhibitors. Follow us/like us on Twitter, Facebook, LinkedIn, Instagram and Flickr and let’s grow the conversation together!